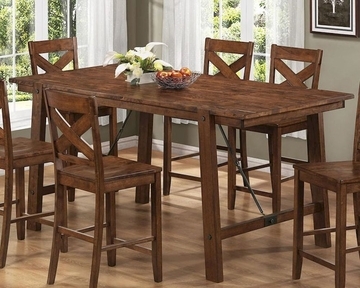 Add a unique touch to your dining room decor with the Lawson collection. The rectangular-shaped tables carry a rustic oak finish with natural distressing and features a wood paneled top and large accented bold elements. Meanwhile, the matching side chairs and stools have X-designed backs while the bench comes with straight legs. A server with wine rack is also available. 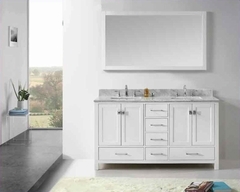 Create a natural appearance in your home with the beautiful Lawson collection. Add a unique touch to your dining room decor with this stunning counter table. The rectangular-shaped piece carries a rustic oak finish with natural distressing and features a wood paneled top and large accented bold elements. 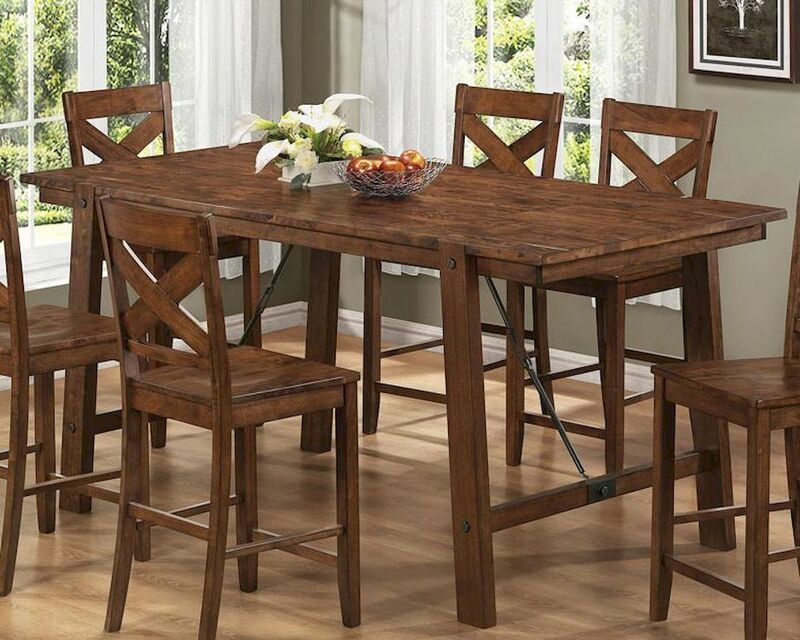 Create a natural appearance in your home with this beautiful counter height wood table.